These are some photos from the 25th. 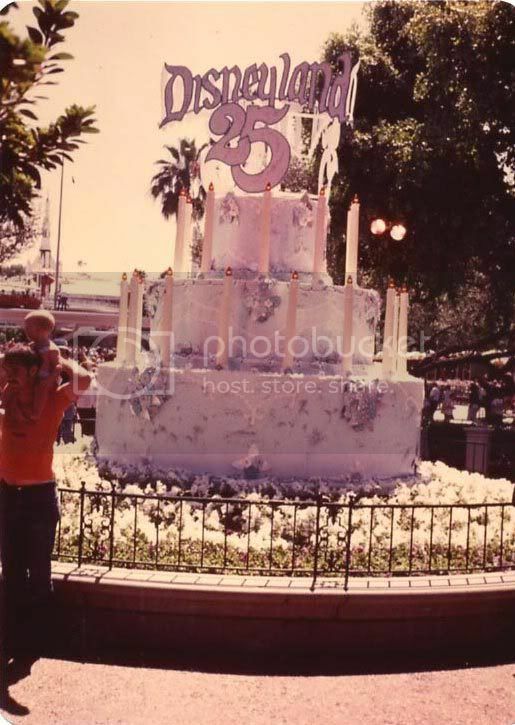 The Birthday cake that stood where the Partners statue now stands, and one of the floats from the parade. Quite cool! I remember the 25th! Good times! unfortunately, i wasn't around for the 25th anniversary (considering the fact that i'm 14). but my mom did go to the celebration and she stayed at the park for 25 hours. man, i wish i could have been there for that. 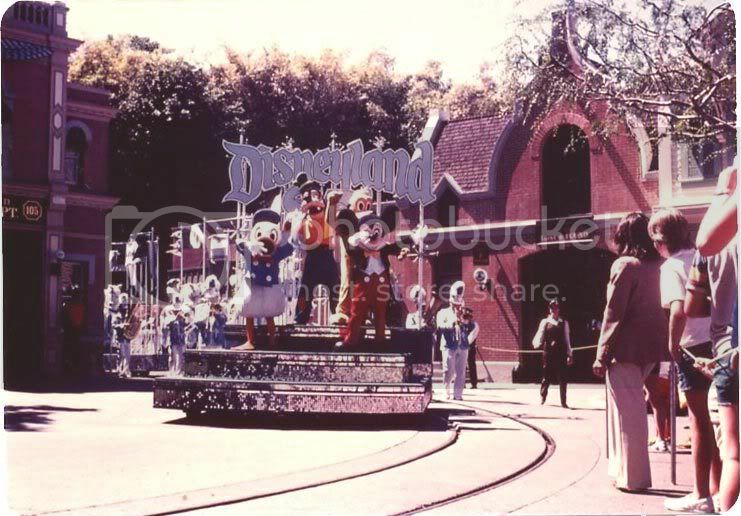 Even thoug I worked overnight the night before in NOMK (park open for 25 hours), and had my regular 3:30pm shift that night, I was definitely there for the special proceedings at 2:30pm in the Town Square, and remember that parade and cake well. Oh my gosh, I remember the 25th... I had a t-shirt (in a small adult, because I was too big in 6th grade for the kids size), and mouse ears with silver ears. I would absolutely LOVE to see more pictures!!! I believe the OP stated that above the photos. Agreed though, cool photos! wow, I feel retarded.... lol I cant beleive I past right by it. Again wondeful photos!! but is that cake where the 'Partners' statue is at?